Ready for the next blog challenge? 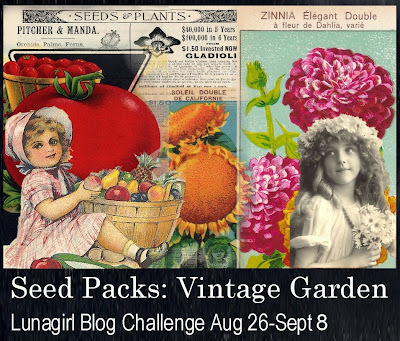 This time I'm featuring something a little different, one of my favorite types of vintage ephemera: antique Seed Packs for flowers and vegetables. Actually I have so many favorites, but I just love the overgrown, lazy look of my garden this time of year, and the bright colors of zinnias and sunflowers and summer veggies, and I've just recently scanned some beautiful French flower seed packets, so this theme caught my fancy. Since not everyone has seed packs in their collection, I'm going to do some things to help! First, let's expand the theme to VINTAGE GARDEN which could include our pretty seed packs, antique seed catalogs, summer flowers, botanical prints, or whatever else seems to fit for you. Second, I'm putting a whole bunch of garden-related items on sale at Lunagirl.com, including my newly created French Flower Seed Packs and Vegetable Garden collage sheets, plenty of flowers, a few butterflies, plus several CDs such as Vintage Can and Crate Labels, Victorian Flowers, Fruit Botanical Prints and Flower Botanical Prints, and even my Victorian Children Photos just for good measure! It's a really good chance to grab some images at a great price, especially on the CDs. And last but not least, I think I'll share a couple of freebies soon! So browse around the garden, get inspired by the colors and forms of flowers and veggies and Victorian typography, and link up your creation! This challenge (#9) will end at 11:55 pm on September 8 ~ The winner will be selected randomly (random number generator) to win two free Lunagirl digital collage sheets of your choice! 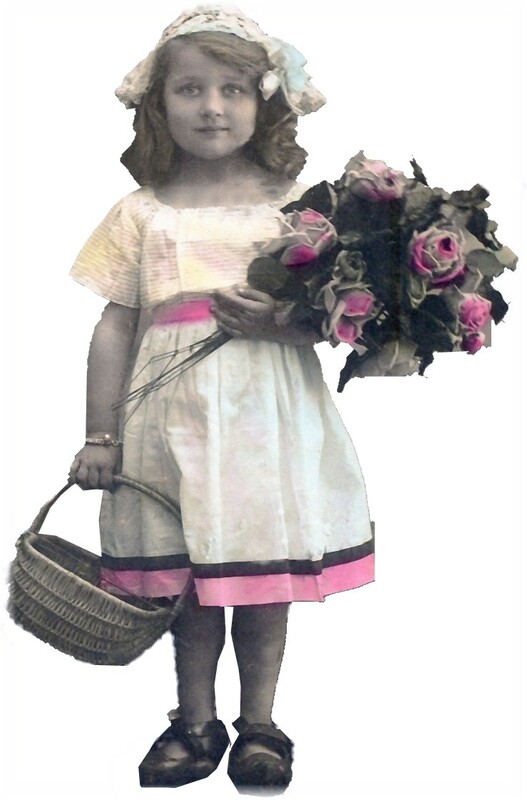 I LOVE these images and I have the seed of an idea already growing .... :o) can't wait to get going!!! Lovely design team samples...and thank you so much for the free seed packet image. Thanks for the challenge!